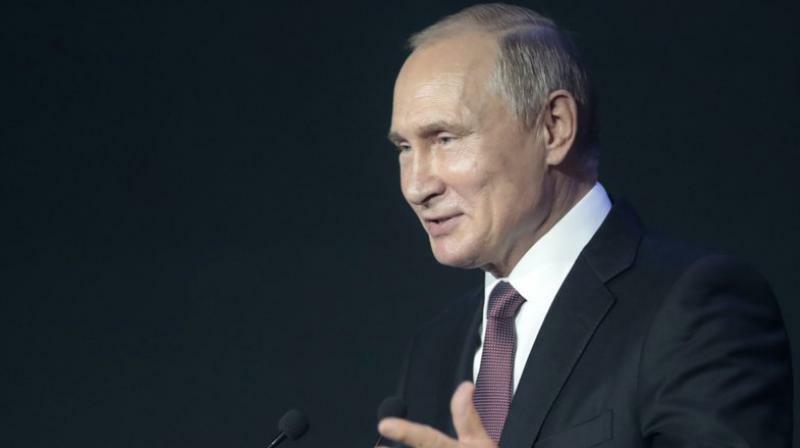 London: British Security Minister Ben Wallace said Thursday that Russian President Vladimir Putin had "ultimate" responsibility for a nerve agent attack on a former Russian double agent in England in March. London has accused two members of Russian military intelligence for using Novichok to try to kill former Russian spy Sergei Skripal and his daughter Yulia in the southwestern English city of Salisbury. Asked if Putin had responsibility, Wallace said: "Ultimately he does in so far as he is the president of the Russian Federation and it is his government that controls, funds and directs the military intelligence, the GRU, via his ministry of defence." He told BBC radio: "I don't think anyone can ever say that Putin isn't in control of his state.... And the GRU is without doubt not rogue. It is led, linked to both the senior members of the Russian general staff and the defence minister, and through that into the Kremlin and the president's office." In the aftermath, Britain and its allies expelled dozens of Russian diplomats, prompting Russian to respond in kind. The United States also imposed fresh sanctions over the attack. The Skripals survived the poisoning but remnants of Novichok found in a fake perfume bottle were picked up by a local man weeks later and given to his girlfriend, Dawn Sturgess, who later died. British prosecutors said Wednesday they had enough evidence to charge Alexander Petrov and Ruslan Boshirov with conspiracy to murder Skripal, attempted murder and the use of a banned chemical weapon. They said they would not formally demand their extradition, as Russia does not extradite its citizens, but have obtained a European Arrest Warrant for the pair.